What to do if your second opinion is different than the first. It can confirm that your original diagnosis and treatment plan recommendation are correct. It can provide additional treatment options your first physician might not have mentioned, for example physical therapy for back pain or a minimally invasive surgical approach for gall bladder removal. It can change your diagnosis and/or treatment plan. 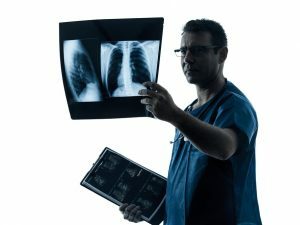 In fact, a recent study by researchers at the Mayo Clinic found that in 66% of the cases studied, the second opinion helped better define or refine the original diagnosis and in 21% of the cases, the second opinion resulted in final diagnoses that were significantly different than the original diagnoses. If the second opinion confirms the first, then you can proceed with treatment with more peace of mind. But what if the second opinion differs from the first, giving you either a different diagnosis or treatment recommendation? What should your next steps be? What clinical guidelines or evidence-based research supports your diagnosis and/or treatment plan? Is there another diagnosis that could also fit my symptoms and the results of my diagnostic testing? Is there additional testing that could clarify my diagnosis? The other physician I saw diagnosed this condition and/or recommended this treatment. Why do you think that’s not the correct diagnosis or treatment? What are the pros and cons and potential side effects and complications of the treatment you recommend? How often do you treat patients with this condition? What are your success and complication rates for this treatment for someone with my diagnosis who is in similar overall health? If possible, it can be helpful to get both physicians to consult with each other. After discussing their findings and recommendations, they may come to a consensus on diagnosis and treatment. If the first and second opinions vary a great deal, you may want to seek a third opinion. It may also be helpful to get an opinion from a physician who provides a different type of treatment. For example, if your first opinion was from a surgeon, consider getting a second opinion from a non-surgical specialist to ensure you’re aware of the complete spectrum of options. A health advisor can be another valuable resource as you work to make a decision. An advisor can connect you with expert specialists, arrange in-person and virtual second opinions, provide you with the latest evidence-based information on treatments, and coordinate the sharing of information, such as test results and medical history, and communication between all the physicians involved in your care.